Momentum and other Corbynite groups endorsed nine candidates standing for Labour’s ruling body – but following a leaked recording, the slate is close to breaking point. Already on the National Executive Committee (NEC) and backed by the Labour leadership for reelection this summer, Peter Willsman and his supporters have come under fire. Last night the Jewish Chronicle revealed a tape showing comments he made about antisemitism during the last NEC meeting. The tape begins with Willsman apparently talking about evidence of antisemitism within the Labour Party. “They can falsify social media very easily,” the NEC member shouts. “And some of these people in the Jewish community support Trump – they are Trump fanatics and all the rest of it. Willsman then asks the room: “Let me ask you, let me ask you a question, how many people in this room have seen antisemitism in the Labour Party? Someone is heard trying to discourage Willsman from speaking, saying “Peter, please”. Their identity is not yet known. Willsman issued an apology after the comments were originally reported by the JC. The statements, made in the latest private meeting of Labour’s ruling body, were picked up by other publications including LabourList, but it is only now that an audio recording has been leaked. Labour MPs including Luciana Berger have called for an investigation and Willsman to be suspended from the party. Corbynites who previously expressed support for the slate termed the #JC9, endorsed by Momentum, Campaign for Labour Party Democracy (CLPD), the Centre-Left Grassroots Alliance (CLGA) and others, have withdrawn their backing. Leading Corbynite journalist Owen Jones said he would no longer be voting for Willsman, and Novara Media’s Ash Sarkar agreed that the NEC member should pull out from the race. Matt Zarb-Cousin, Jeremy Corbyn’s former spokesman, also spoke out and started using the hashtag #JC8. After his comments, there’s no way I’ll vote for Pete Willsman for Labour’s NEC. I’ll proudly vote for the other 8 excellent Labour left candidates. I won’t vote for someone who undermines the struggle against the disgusting disease of anti-Semitism. Pete Willsman should withdraw his candidacy immediately. Labour’s deputy leader Tom Watson tweeted the Jewish Chronicle exclusive and described Willsman as a “loud mouthed bully”. Some supporters of Ann Black, who was dropped from the full Corbynite slates and now stands as an independent candidate for Labour’s NEC, are urging members to vote for ‘Ann and the #JC8’. Ballots dropped on Thursday and voting closes on 30th August. But others are concerned by the actions of those who were also in the meeting. Many have pointed out that general secretary Jennie Formby, Corbyn himself and many other left-wing NEC members were present when Willsman made the comments, yet no action was taken against him and he continued to be endorsed by Corbyn’s allies. According to well-placed sources, this was not the first time Willsman had shouted angrily in an NEC meeting and his behaviour has been considered poor by some other left-wing NEC members for some time. 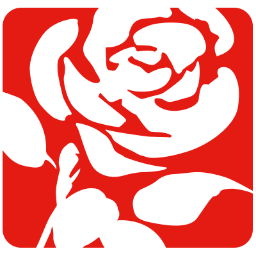 Referring to Momentum chair Jon Lansman, who is Jewish, one NEC source told LabourList: “He has launched personal attacks on Lansman for going to public school, calling him a posh boy.” LabourList understands that Willsman also received criticism from colleagues after expressing opposition to trans inclusion measures. These have particularly been promoted by younger left-wing NEC candidates including Huda Elmi. Momentum have been contacted for comment.